There is something wildly fascinating to me about comic conventions. But here’s the catch… I have never, ever been to single comic convention (side note: this is why I’m so excited to be going to MegaCon Orlando in May). That said, this is going to be based on a lot of speculation, but hear me out: there is such a sense of camaraderie among those who share similar interests. I jump at the opportunity to experience new events, and I love learning about comic artists, upcoming movies, and video games. 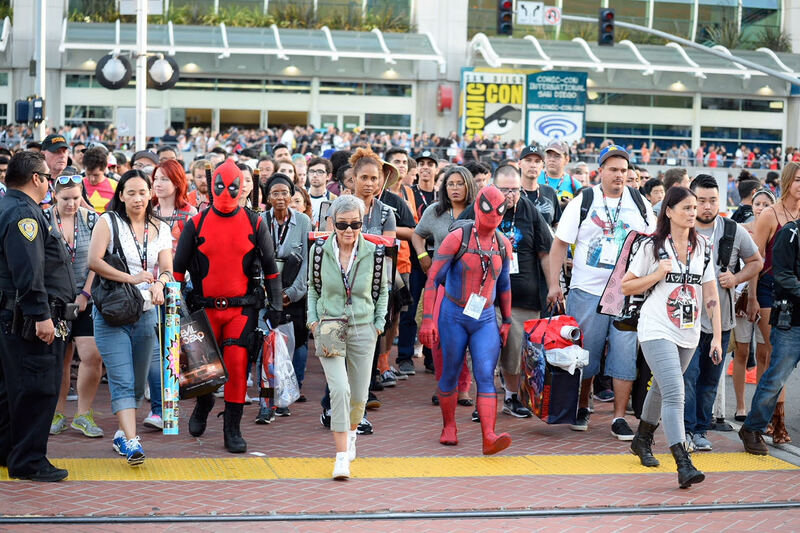 For those who have grown up appreciating nerd-culture, there’s an investment in attending a comic convention because they have grown alongside their favorite characters and universes. This community is cultivated on a kind of give-and-take of knowledge and passion for geek things. There’s also this really incredibly inclusive aspect to nerdiness that you don’t have to meet requirements of a certain kind of “personhood” to actually be a nerd. There are people from all walks of life who find themselves fascinated by all things geeky. I have a friend from Lille who introduced me to my first graphic novels, a friend from the Bronx who sent me a documentary on comic artists, and a friend from Encarnación who convinced me to read sci-fi novels. The point is this: there is no guideline on who can or cannot be a nerd, and there is certainly no “*Exclusions apply, see back for details” on any comic, book, movie, video game, or convention. This is a community of people who, even for just a day, lay aside their differences to come together based on a common-thread appreciation of an art form. If it is true that there is no *Exclusions apply, see back for details on anything nerdy, then it is even more true for the Gospel of Jesus Christ. He came not to condemn the world, but to save the world… the ENTIRE world (John 3:16-17). The Gospel is for men, women, all sinners, and all those sinned against. Christians come from a multitude of circumstances, experiences, cultures, and heritages. Based on that alone, it is evident that you don’t have to be a certain kind of person before becoming a Christian. Jesus has extended adoption to us through His death and resurrection, to call Christians children of God (John 1:12-13, Galatians 3:26-29). We are known as God’s children by the love we have for one another, despite our circumstances, experiences, cultures and heritages. Jesus is the common foundation on which we build our lives, and that alone unites us in a unique and profound way. “Artists use lies to tell the truth.” . I remember hearing that in my first of many viewings of V for Vendetta and being intrigued by it. As a good Christian boy, and now minister, I was taught that lying was a sin and something to be avoided but could lies really tell the truth? As time has gone by I have connected this line with my love of fiction. I have come to love stories that are simple on the surface but have a bigger meaning for those who have ears to listen. A recent story that stood out to me was when I watched “Arrival” (2016) starring Amy Adams and Jeremy Renner for 1 Geek 4:11’s “Must See” Movie of the Week. Part way through the movie, we get to a scene where Adams and Renner’s characters introduce the audience to something called the Sapir-Whorf Hypothesis which is basically that the way that someone understands language, especially the language they speak, influences how they perceive the world. While there is some scientific stretching going on in the movie there is some great truth to the sentiment. As a Christian geek I have often feel that there was a “language gap” when it comes to interacting with other Christians; the stories that pointed me to a deeper understanding of Christ and life were all… well geeky. It takes a certain type of person to learn something about Jesus’ parables through a story of a crazy guy trying to blow up Parliament, or about how our worldview as Christians is influenced by our language as geeks. Whenever I look back I Jesus in the Bible at Jesus’ ministry I see an artist, one who would speak directly but who would also use fiction, to connect His listeners to the Kingdom of God and to me there is so much beauty in that truth. Dear, TV; How Far is Too Far? Full disclosure. We LOVE the Marvel cinematic universe. Over the course of a decade, almost pretty much every movie has been a critical and box office hit… it almost seems they can do no wrong. We are even pleased with the Agents of SHIELD spin-off which promised to operate on the outskirts of the MCU with big tie-ins to the film universe and has actually delivered on that. Then came the Netflix shows. As a universe-within-a-universe, these street-level heroes came in to their own with a gritty, noir feel focusing on the human elements of their characters (and to some degree villains) and with roughly 13 hours per season, they had enough time to actually pull it off. And after 5 seasons of individual story lines, we were rewarded with Defenders, an everyman’s Avengers so to speak. As the days went on however, more networks and outlets began to hunger for a piece of the super hero pie. Other networks and streaming services saw huge potential in having a hero of their own. This is on top of an already overloaded Comic Book inspired TV line-up, including several based in the X-Men universe and the hugely popular DC Comics roster such as Arrow, Flash, Supergirl and Legends of Tomorrow, as well as Constantine, Gotham and the upcoming Black Lightning and Teen Titans. Oh, and The Tick. My second question is how long until the world shrugs its collective shoulders and greets these new series with a resounding ‘meh.”? Can the TV/Streaming market absorb much more superhero saturation. Or worse will the studios who pay for all these shows stop seeing comic book inspired stories as worthy of top talent in writing, directing and acting and move on to the next genre? 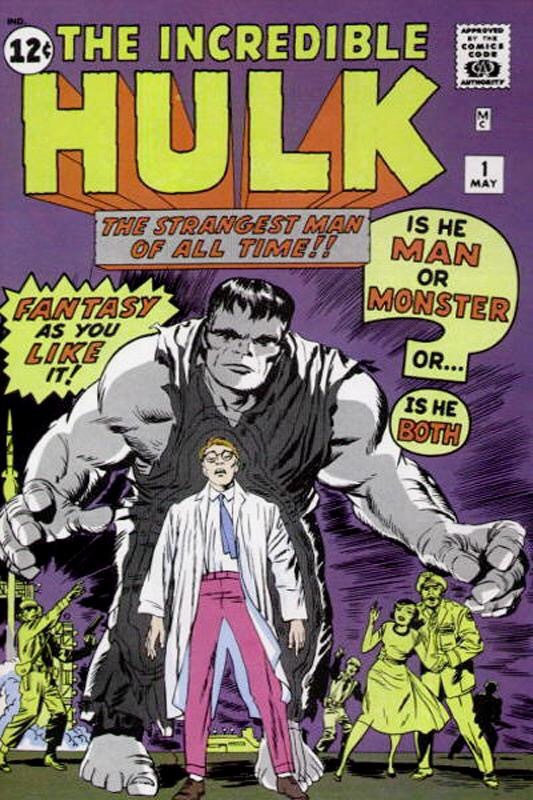 My third question is to you- Do you think they are spreading the medium too far with every new small screen superhero? Is it hard for you to get caught up on one before, like the villainous hydra, two more pop up in its place? Of do you thing there is a super hero that probably won’t get his or her own movie that you think should get a TV series? Let us know in the comments below! BTW… I’m going to admit. I don’t really know what Freeform is.